December 2, 2016  A new survey finds strong public support for organic food, and suspicion of GMOs — regardless of whether people vote Republican or Democratic. Also, people don't trust scientists much at all. September 1, 2016  There's new and detailed data on the impact of genetically modified crops on pesticide use. 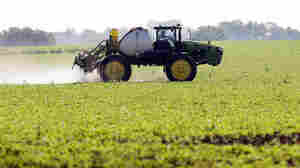 Those crops replaced insecticides, and, at first, some herbicides. But herbicide use has rebounded. 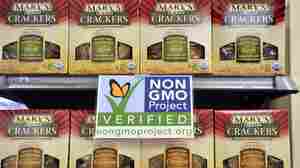 August 3, 2016  Sales of food labeled "non-GMO" are booming, and it's starting to annoy organic food companies. 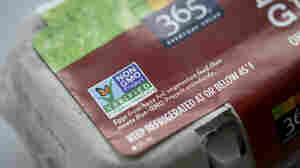 They see the non-GMO label as cut-rate competition that doesn't deliver what shoppers imagine. August 1, 2016  A new type of genetically engineered crop is tempting farmers to use a weedkiller illegally. The illicit chemical use has damaged nearby crops and provoked conflict among neighbors. 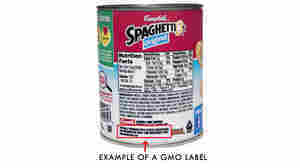 July 14, 2016  The proposal will require food companies to disclose their GMO ingredients, but that information doesn't have to be on the packaging. It's a compromise, and neither side is all that enthused. July 8, 2016  The bill requires food companies to reveal whether their products contain GMOs. But those companies are pleased, because they won't have to print "GMO" on food packages. June 23, 2016  The new bill would require companies to disclose genetically modified ingredients in food products. 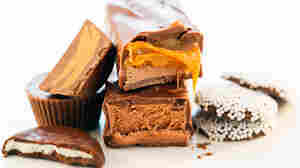 But critics dislike that this information does not have to appear directly on the food label. 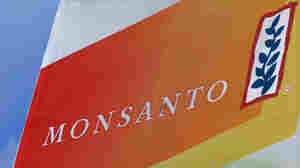 If Monsanto Disappears, Will It Matter? May 19, 2016  The German-based company Bayer wants to buy Monsanto. 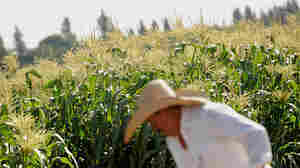 It would be the latest in a wave of consolidation among companies that sell seeds and pesticides to farmers. May 17, 2016  A new report from the National Academy of Sciences knocked down some pro-GMO claims, such as that they've boosted crop yields, and urged federal agencies to change the way these foods are regulated. May 12, 2016  As companies shun genetically modified ingredients, they're buying more sugar extracted from sugar cane rather than beets. 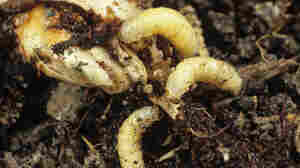 Sugar beet farmers are thinking of going back to conventional beets. 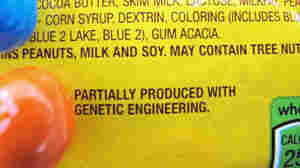 March 27, 2016  In the coming weeks, major brands including General Mills, Kellogg and Mars will start labeling foods produced with genetic engineering. That's all because of a Vermont law set to take effect July 1. 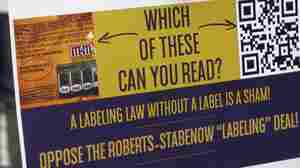 March 4, 2016  Congress is scrambling to piece together a national standard for labeling foods that contain genetically modified ingredients before July 1. That's when Vermont's mandatory labeling law kicks in. 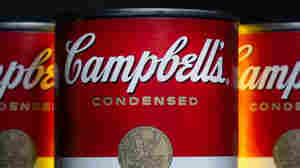 January 8, 2016  The Campbell Soup Co. has announced that it now supports a federal law requiring labeling of genetically modified ingredients. It's the first major food company to endorse such a law. 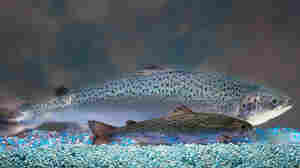 November 19, 2015  In a long-awaited ruling, the agency said that a salmon created to grow faster is fit for human consumption. 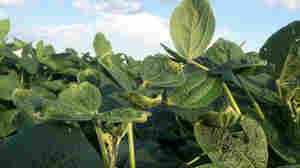 Environmental and food safety groups vow to fight the decision.